SAN FRANCISCO (CNNMoney) - Amazon won't make massive amounts of money off of its new $60 Alexa-controlled microwave. Or the Alexa controlled wall clock that only sets timers. In fact, making a profit from its growing selection of Alexa and Echo devices may be beside the point. What makes monopoly in age of Amazon? On Thursday, Amazon announced 13 new Echo and Echo-adjacent gadgets at a press event in Seattle. 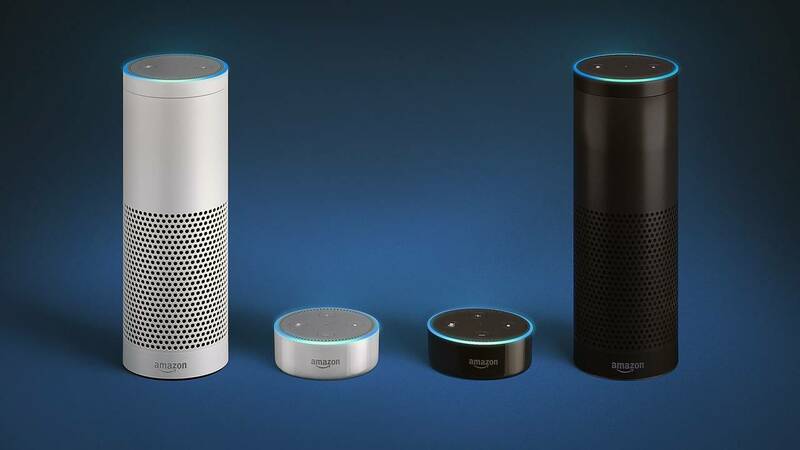 In addition to the clock and microwave, there were new Echo smart speakers, a device that puts Alexa in cars, and a dedicated DVR to compete with 2007's hottest gadget, the TiVo. "It's absolutely not about the revenues or the gross margins that these devices create," said Werner Goertz, an analyst at Gartner. "It is investment in the proliferation of Alexa. Proliferation creates an infrastructure." "In order for any one of these virtual assistants to work well, it has to have a lot of contextual data about a consumer," said Ask. "Embedding Alexa would give Amazon a bigger data footprint." Amazon clearly has ambitions for Alexa outside of the home. Thursday's smallest but most intriguing new product was the Echo Auto, which brings Alexa microphones and commands into the car. Like most first generation Echo devices, the Auto has an uninspired design — a black rectangle with buttons and an unsightly wire connecting it to a power source. But it creates a new product category. Apple's Siri and Google's Assistant are already in vehicles, but they came in through smartphones and built-in car infotainment systems. Perhaps because it's still smarting for the failure of the Fire Phone in 2014, Amazon is trying to make Alexa mobile with gadgets like Echo Auto instead. Even if Amazon can make an end run around the phone to hear commands everywhere, it's not clear the future will boil down to a single dominant voice assistant. "The jury is still out whether we'd want one single agent moving from screen to screen," said Justine Cassell, a professor at Carnegie Mellon's Human-Computer Interaction Institute. "Would we would different branded agents in each of our devices with a different sets of skills? For Amazon, it's to their advantage to have that character move from screen to screen." "It's curious to me whether they are always going to have the answer, which is not how we learn anything," said Cassell. "Or whether eventually they really are going to become useful tools for our development as people."